Click on picture above to learn more! At Ask Nagel, we love dogs. Since we find great homes for people all the time, we thought it was time we extended that to our canine friends as well. To make this happen, Ask Nagel has partnered with One Tail at a Time, a phenomenal local dog shelter. You can visit them on the web at http://www.onetail.org/ or like them on Facebook at https://www.facebook.com/onetailatatime/?fref=ts. 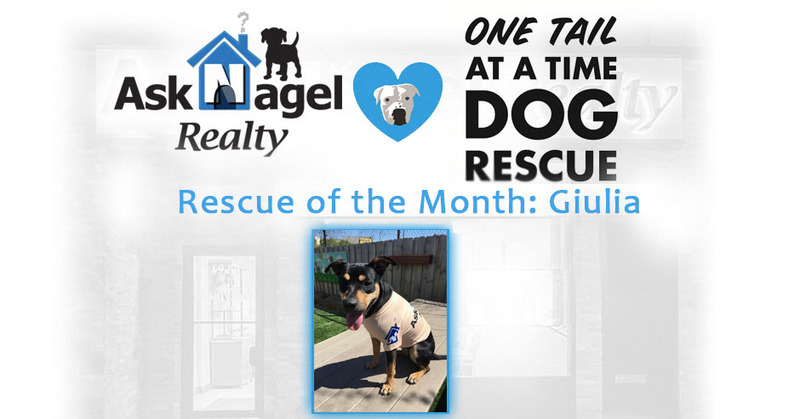 Ask Nagel is proud to pledge 10% of our commission to One Tail at a Time starting December 2015 for any referral made on this page or by calling Greg at 312-933-1432 and mentioning One Tail at a Time. To kick this off, we made donations on behalf of our clients for the holiday season to show our appreciation for their business. This partnership makes it easy to work with Your Local West Town Neighborhood Experts to find your dream home, while helping a homeless dog find its dream home as well.